Amy Johnson 1939. Image by kind permission of The Portsmouth News. History books tell us that in the summer of 1939 world famous aviatrix, Amy Johnson, was hired by Portsmouth, Southsea and Isle of Wight Aviation (P.S.I.O.W.A), to pilot their daily service. A fanfare of publicity accompanied Amy’s appointment by P.S.I.O.W.A. National newspapers told readers they could fly with Amy for five bob (five schillings or 25 pence in today’s money). But Amy’s association with the Solent area extends back to ten years before 1939. Before she was famous, Amy Johnson visited the Isle of Wight in August 1929. She enjoyed a holiday with her friend Winifred Irving, at a hotel in “the cliff-top resort of Ventnor”. Amy wrote to her father that she had found this lovely place. Exactly which hotel it was is not known but two contenders are Ventnor Towers and The Royal Hotel. In the same year, on 7th September, Amy watched the Schneider Trophy air race, from a speedboat in Southampton Water. She was in a private party of eight. The air-race started and finished at Ryde Pier. Air race turning points were at Seaview, Hayling Island and Cowes. 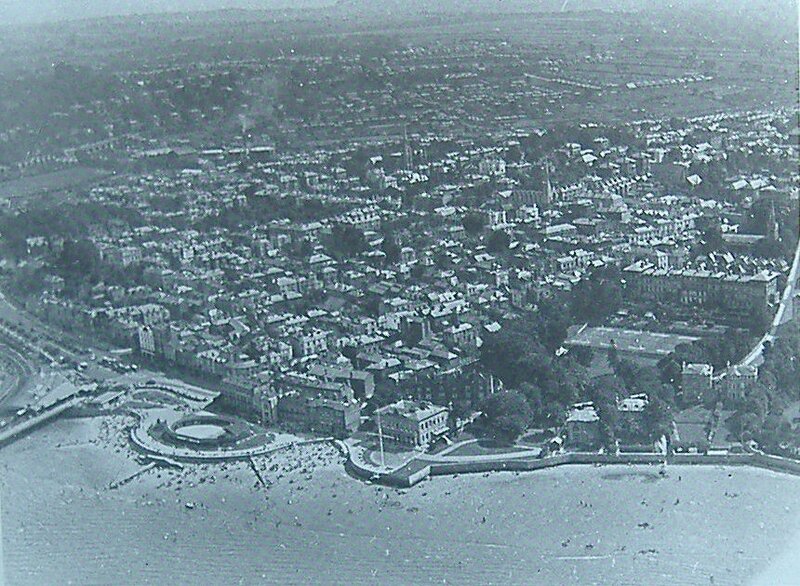 (Aerial Photo of Ryde – date unknown but predates the Ryde landmark of the Art Deco Royal York Hotel). In 1930 Amy Johnson was catapulted to fame when she set a new world record. 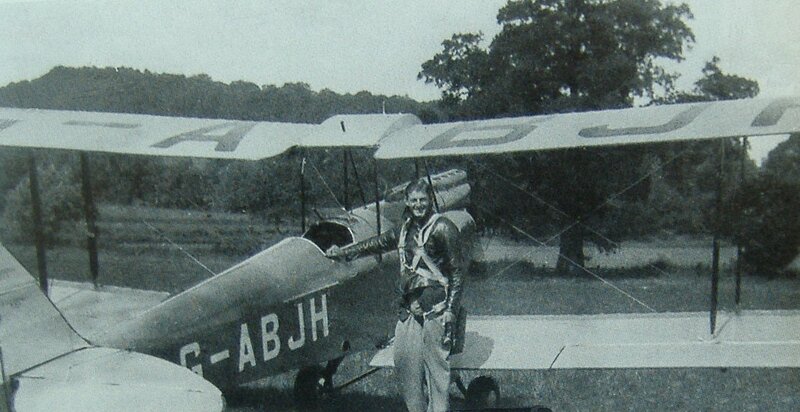 She flew solo in a De Havilland Gypsy Moth bi-plane from England to Australia, a distance of 10,000 miles. She became a national heroine. Following her return to England, Amy undertook a publicity tour of Britain. One stop on this tour was at Portsmouth. She landed at Alexandra Park where she was taken on to a Civic reception. A heat wave during the month of touring had tired Amy and she recuperated at a friend’s home, at Norton Priory Country House, Selsey, near Chichester. She visited the same place some years later when she was again in poor health. Dorothy Spicer, and Mrs. Victor (Mildred) Bruce. Amy took a blind flying training course at Air Service Training (A.S.T.) at Hamble. Some years later during the war, Hamble was to be her base as an Air Transport Auxiliary Ferry Pilot. Amy and Jim Mollison at Ryde Airport. Amy landed on more than one occasion at Ryde Airport on the Isle of Wight, with her record breaking aviator husband Jim Mollison. Lionel Balfour, who with some business partners including the legendary air circus pilot Sir Alan Cobham, started the ‘Spithead Express’ air ferry service between Portsmouth and the Isle of Wight. Pioneering entrepreneur Lionel started Ryde Airport. The Shore family, Howard and Emily, daughter June and son Howard ran the café at Ryde Airport. Their family memories include those of Howard (Junior). He recalled that Amy and Jim liked to fly to Ryde for a day out. However, these pleasant sojourns soon deteriorated when Jim found the Airport bar. The result was the usual argument between husband and wife as Jim’s alcohol intake increased. 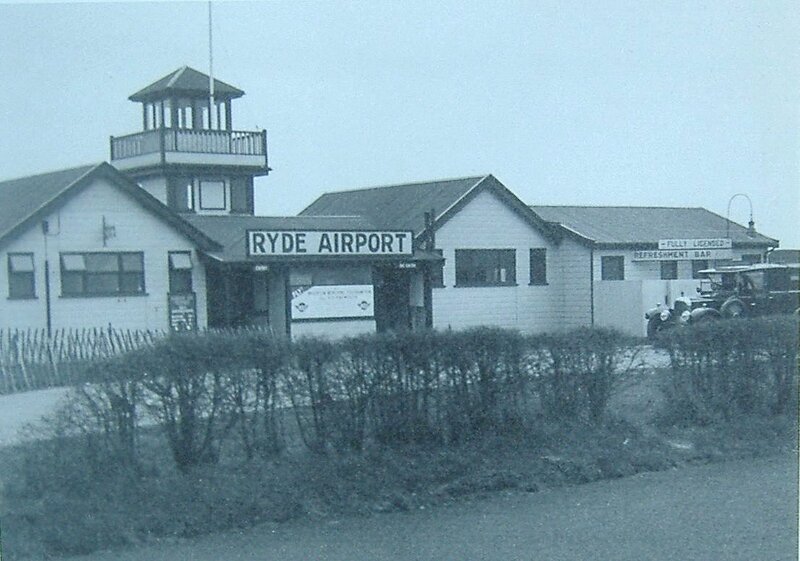 In this photo of Ryde Airport the Refreshment Bar is on the right of the building. The ‘fully licenced’ sign was the magnet for Jim Mollison. These Mollison trips to Ryde are part of my family oral history. 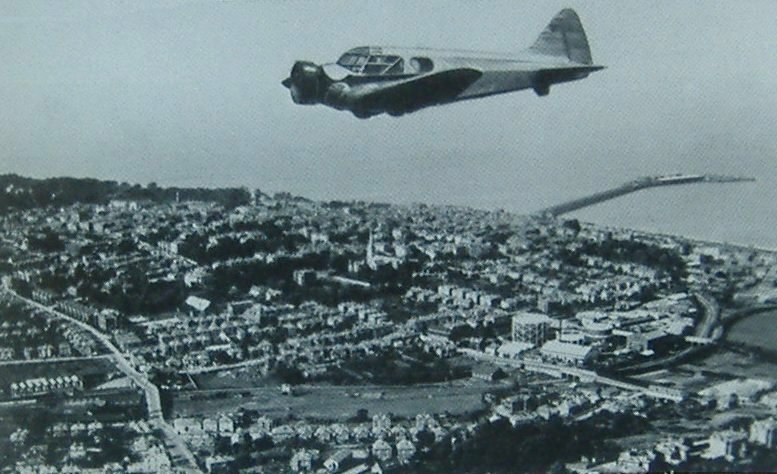 My mother, in her teenage years, was told by her grandmother to look out of her bedroom window (in the Haylands district of Ryde), up to Ryde Airport where she would see Amy Johnson coming in to land. This story was repeated to me many times when I was a child. 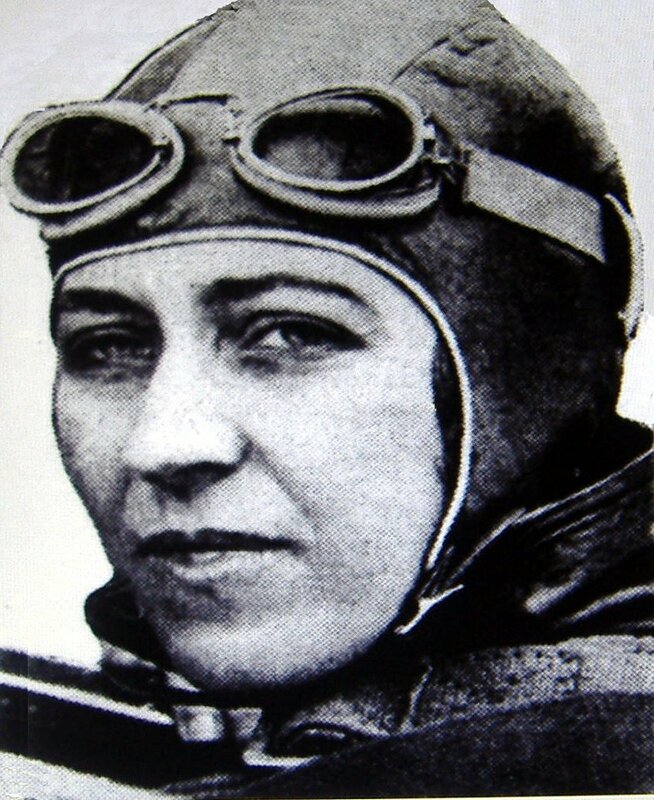 Little wonder then, that I grew up wanting to learn – just exactly who was Amy Johnson. With Amy’s sudden fame in 1930 came huge wealth. She invested some of it in shares in Nevil Shute Norway’s Airspeed aircraft company, which was based at Portsmouth Aerodrome, near P.S.I.O.W.A. As a shareholder Amy visited Airspeed on more than one occasion. 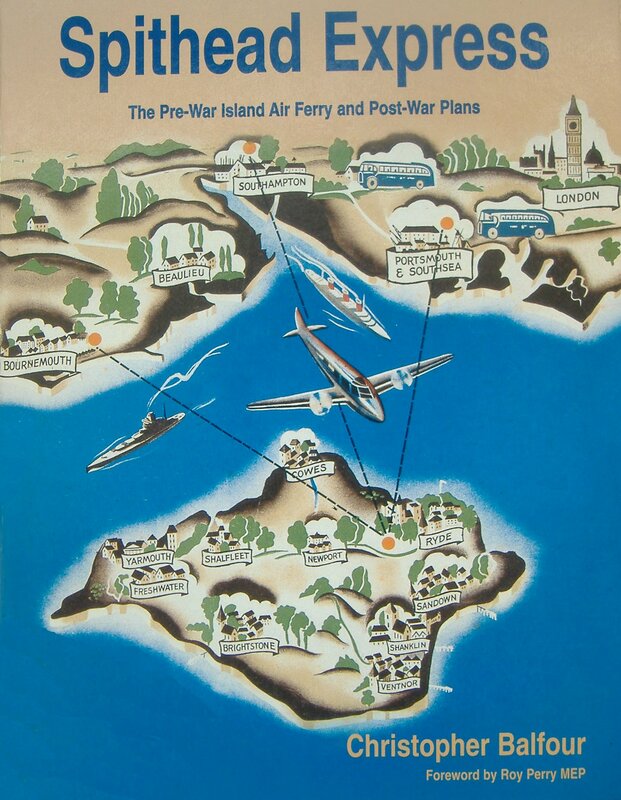 Nevil Shute Norway documented the story of Airspeed in his book ‘Slide Rule’, written using his pen name Nevil Shute. Amy Johnson visited Wymering Manor, Cosham, in the 1930s. Copyright Anne Grant. 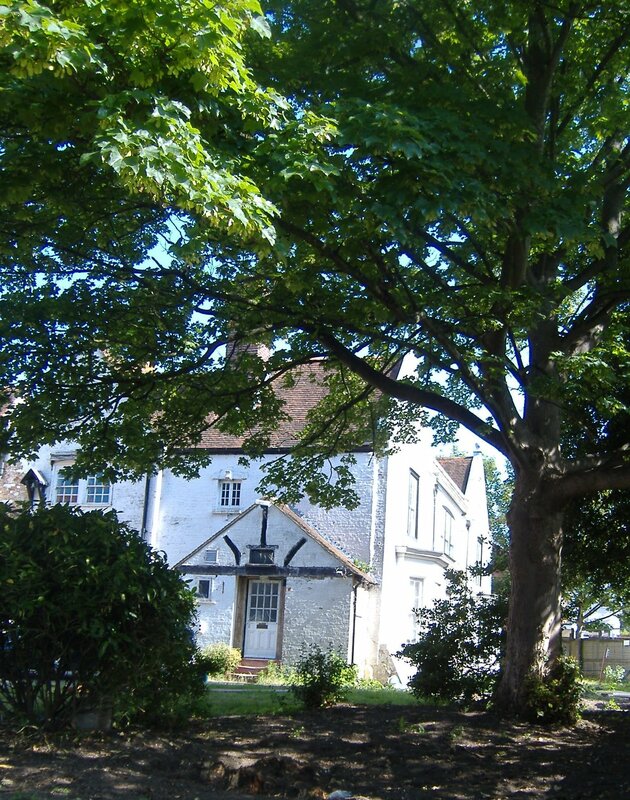 During this time it is believed Amy also visited the 19th century Wymering Manor in Cosham, north of Portsmouth. This old manor house has a Jacobean Hall and Staircase. In the 1930s the owner was a designer for Airspeed. Wymering Manor as it stands today is undergoing extensive restoration work and is currently not open to the public, hence this photo only offers la glimpse of the historic building.Amy at Southampton Docks. Amy enjoyed the luxury of travelling on several of the great liners that docked at Southampton. This was the Golden Age of the transatlantic liners. In early 1932 Amy, recuperating from an operation, took a cruise from Southampton to Madeira on board the ‘Winchester Castle’. In September the same year, she boarded the ‘Empress of Britain’ when it sailed from Cherbourg, through the Solent, into Southampton. She had accompanied Jim Mollison back home following his successful North Atlantic solo flight. She indulged in several other cruises from Southampton’s Ocean Terminal. 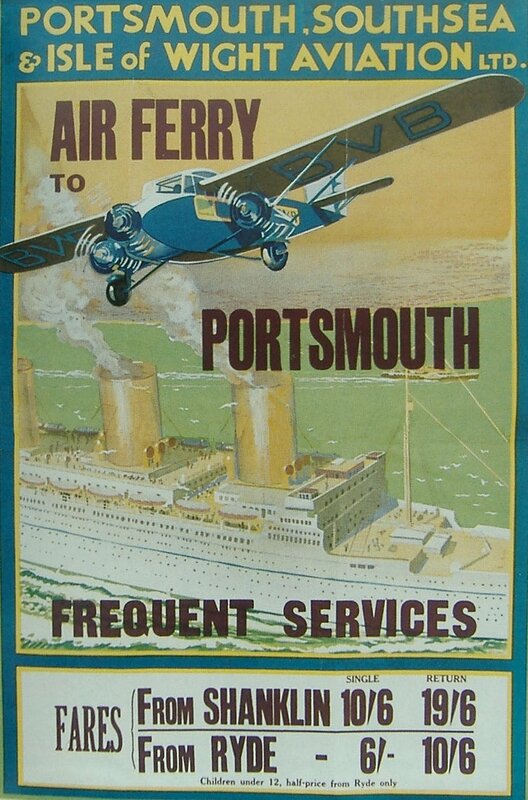 This 1930s poster is so evocative of the era, with an ocean liner leaving Southampton, a paddle steamer and PSIOWA Westland Wessex G-ABVB overhead. Amy rubbed shoulders with royalty and film stars. David Luff wrote her biography, ‘Amy Johnson – Enigma in the Air’. In it he records that Queen Victoria’s daughter H.R.H. Princess Marie Louise was the first royal to fly. The Princess was the president of the Women’s Aero Club and was hugely supportive of women learning to fly. On the same club committee were Pauline Gower, Dorothy Spicer and Amy Johnson. The Princess was very fond of her family residence at Osborne House on the Isle of Wight and spent a lot of time there, where she had a sculpture studio. Whether an aeroplane ever landed in the grounds of Osborne House on the Isle of Wight is not known, but it would be fun to speculate that this thoroughly modern princess of her time, may have taken to the air from the estate grounds. 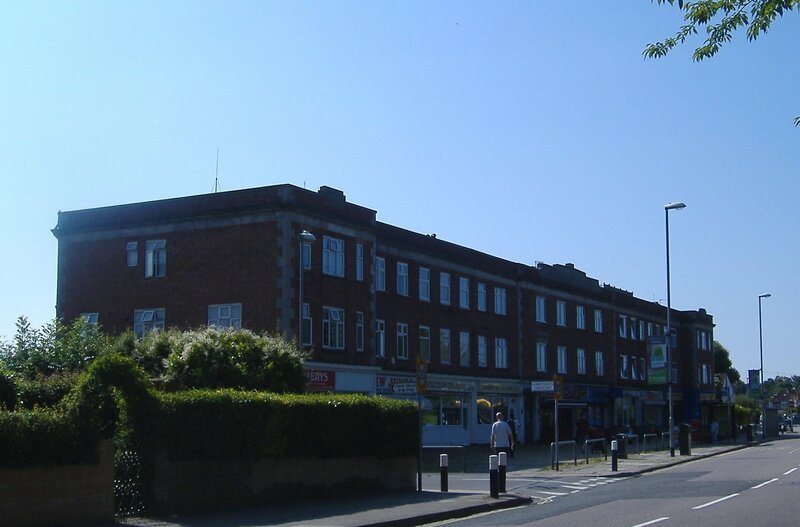 When Amy first joined P.S.I.O.W.A, she took lodgings at Highbury Buildings, Cosham, north of Portsmouth. Highbury Buildings built in 1933 Cosham. Copyright Anne Grant. Amy’s rooms were above a sweet shop. This Art Deco building is little changed from when it was built in 1933. Only the ground floor shops have moved with the times. Locals who were children at the time recall her kindness and generosity. Christopher Balfour’s book ‘Spithead Express’, about his father Lionel Balfour, has contributed much to the recorded history of Portsmouth, Southsea and Isle of Wight Aviation. As a small child Christopher remembers being introduced to Amy Johnson, when she joined her father’s business in 1939. Being so young he didn’t understand why she was so important, until many years later. ‘Spithead Express’ is still available at Ryde Book Shop. Christopher Balfour has donated a quantity of P.S.I.O.W.A memorabilia and artefacts to the Historic Ryde Society museum, situated in the Royal Arcade in Union Street, Ryde. In addition to flying passengers on day trips between Portsmouth, Southampton, Ryde and Bournemouth, in Airspeed Courier and Monospar aircraft, Amy also piloted aircraft on Air Ministry Army Co-operation manoeuvres. This involved repeatedly flying up and down a preset route, to give air gunners target practice. One such anti-aircraft gun emplacement was stationed in Ryde, manned by the IW Battery division of the Wessex Brigade. Amy Loved The Solent Area. Despite this somewhat monotonous element of her job, the lass from Hull and Bridlington had taken to life in the south. Amy described living here as one of the happiest eras of her life. She took up sailing and moved from Cosham to Old Bosham, near Chichester. There she rented a bungalow near Bosham Harbour, the perfect place to indulge her new love of yachting. PSIOWA Aircraft at Portsmouth Airport. By permission of Christopher Balfour. Amy’s presence at Portsmouth must have sent the local Civil Air Guard membership soaring. Mr. V. Lee, who I met in 1998, joined P.S.I.O.W.A in 1935. He saw Amy Johnson regularly at his office and Mr. Lee described her as modest and generous at all times. Amy had a few aviatrix friends on the staff of P.S.I.O.W.A. Jennie Broad was a pilot and a qualified ground engineer. Joy Davison was another pilot who worked with Amy. All three women later joined the Air Transport Auxiliary (A.T.A.) during World War ll, under the command of Pauline Gower.Amy was the first woman to hold a ground engineer’s licence. Dorothy Spicer and Pauline Gower soon followed in Amy’s footsteps. But Dorothy went on to better Amy’s achievements. She set her own world record as the first woman to gain all four ground engineer licences. To learn more about Pauline Gower and Dorothy Spicer, go to Dorothy’s page. Whilst in the A.T.A, from May 1940 Amy was based at Hamble with amongst others, Spitfire Girl Jackie Moggridge. Read Jackie’s story here. 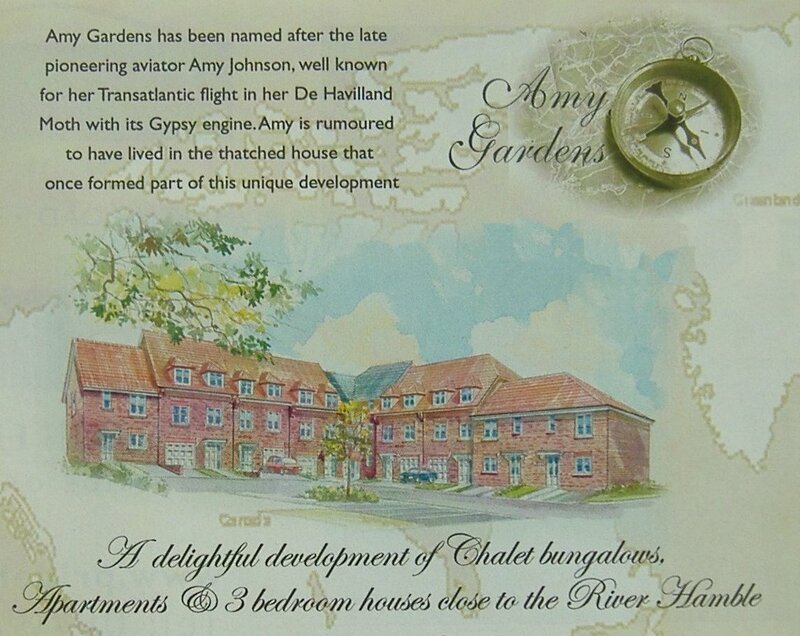 Amy Johnson’s association with Hamble village was commemorated a few years ago, when a new housing development was named, ‘Amy Gardens’. The old house that formerly occupied the site, later demolished, was believed to be Amy’s billet during the war. As this clever piece of marketing illustrates, more than 70 years on from her death – Amy’s fame continues to sell. Yet she was dismissive of her celebrity status. She was once asked how she viewed her own fame. Her simple reply, “What is fame? In a few years time people will have forgotten all about me.”How wrong she was. Today in 2014, Carol Vorderman is planning to emulate Amy Johnson, by flying solo across the same routes flown by the 1930s pioneering aviatrix. Critics of Carol’s ambition have described it as “crazy”. In May 1930, Amy Johnson’s critics said much the same – until she landed in Australia nineteen days after flying out of London. She sailed from Perth, Australia for England on 7th July. Three days later, someone in Adelaide wrote a fan letter to Amy and addressed it simply “Amy, England.” When Amy arrived back in Hull and got home to her parents, the letter had been delivered, awaiting her return. Such was her fame. 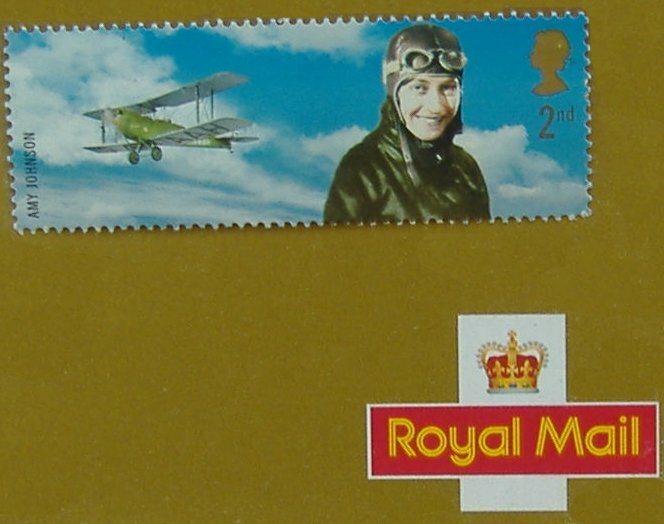 To commemorate Amy Johnson’s achievements, the Royal Mail issued a special stamp in 2003. This stamp featured Amy with her record breaking De Havilland Moth ‘Jason’. Amy’s death on 5th January 1941 has been widely documented and analysed. Three biographies: ‘Amy Johnson’ by Constance Babbington Smith, ‘Amy Johnson – Queen of the Air’ by Midge Gillies and ‘Amy Johnson – Enigma in the Air’ by David Luff, gave varying insights into Amy’s character. Midge Gillies wrote a moving and sympathetic account of Amy’s life. David Luff gave an equally sympathetic view of the woman, who was arguably, the most famous of all British women pilots. For me, Luff has the edge. His thorough, forensic analysis of the events in Amy’s life and for his conclusions of her final minutes has credence on the unsolved mystery of Amy’s death. To learn more about the ATA visit their museum here. 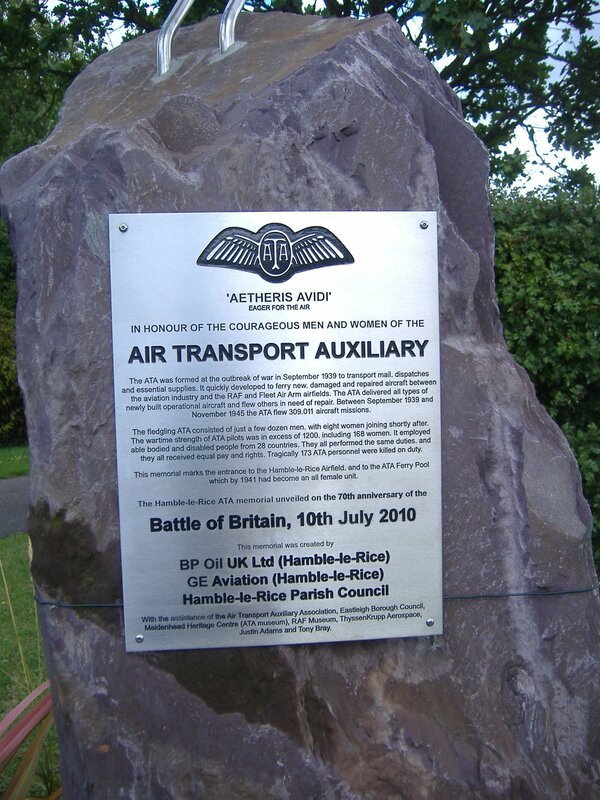 The ATA Memorial in Hamble.